Ha! Thats a funny one! Too true. Damn straight I don’t need a support group! 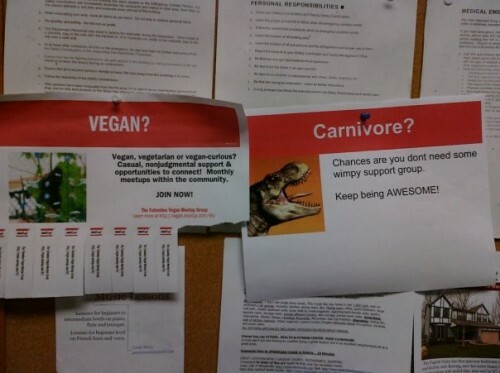 I do, however, sometimes raid the Vegan support group. I know they will provide quality meat to fuel other T-Rex inspired rampaging. I’m gonna join a group on day and start eating beef jerky in the middle of it.